Progressive diseases become more and more debilitating as we age. The care you need when you are first diagnosed may be significantly different than the care you need a year down the road. Affordable Home Care understands that your level of care will not remain stagnant, updating your care plans as your needs change. When you receive care from Affordable Home Care, you realize that our exceptional care team is dedicated to your evolving needs. 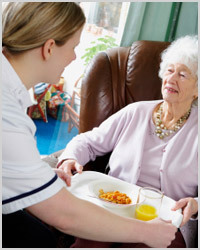 We begin your care with a home visit conducted by one of our qualified home care intake specialists. Your care assessment will help our Registered Nurse develop your personalized care plan. One of our exceptional CNA’s or caregiver’s is then hand selected by our client care directors based on your needs. While receiving care, our Registered Nurse and client care directors will be making periodic visits to your home to ensure the highest quality of service, and to update your care plan as your needs change. You can rest assured that Affordable Home Care will be with you every step of the way.